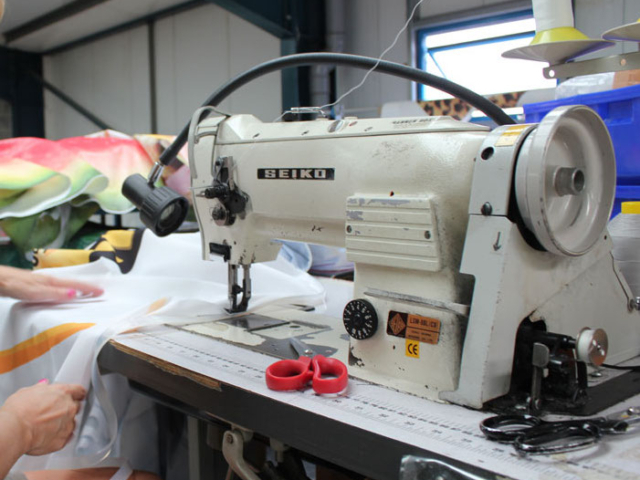 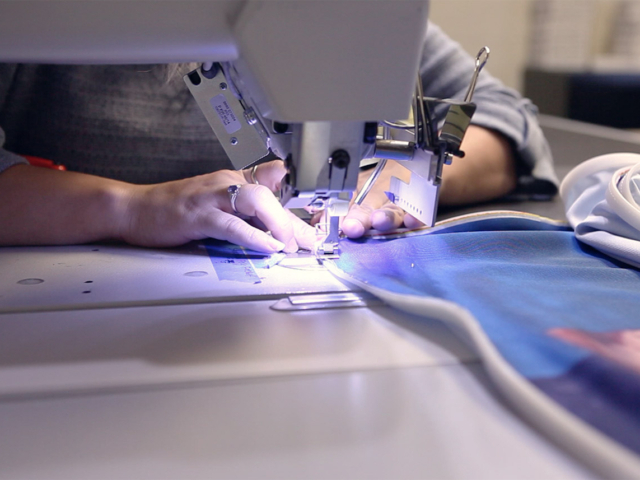 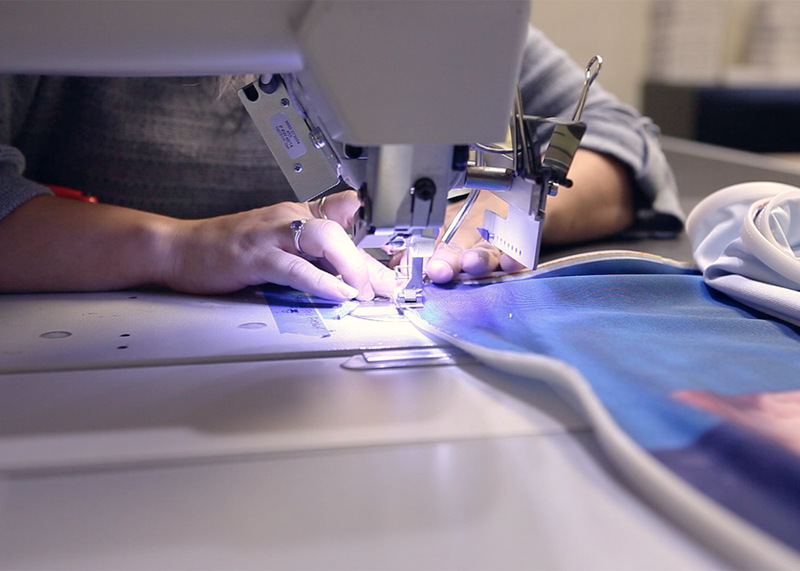 At Visual Solutions we provide custom sewing services in house, specialising in the finishing of wide format printed banners and signs on fabric or vinyl media. 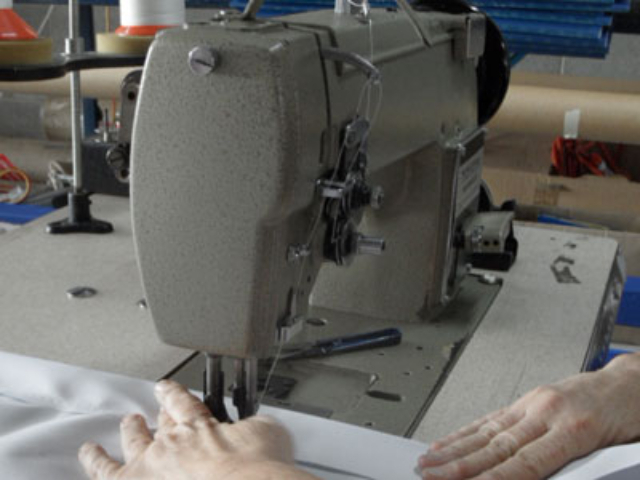 We offer a range of products and services to give your job a professional finish. 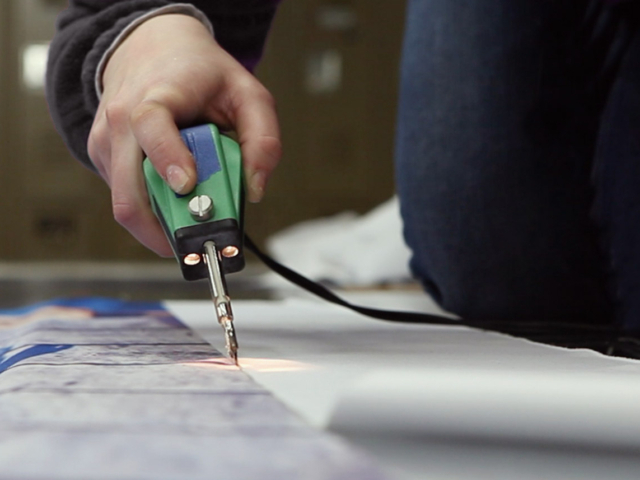 Our trained staff can join, weld, sew and supply everything needed to finish your printed banners. 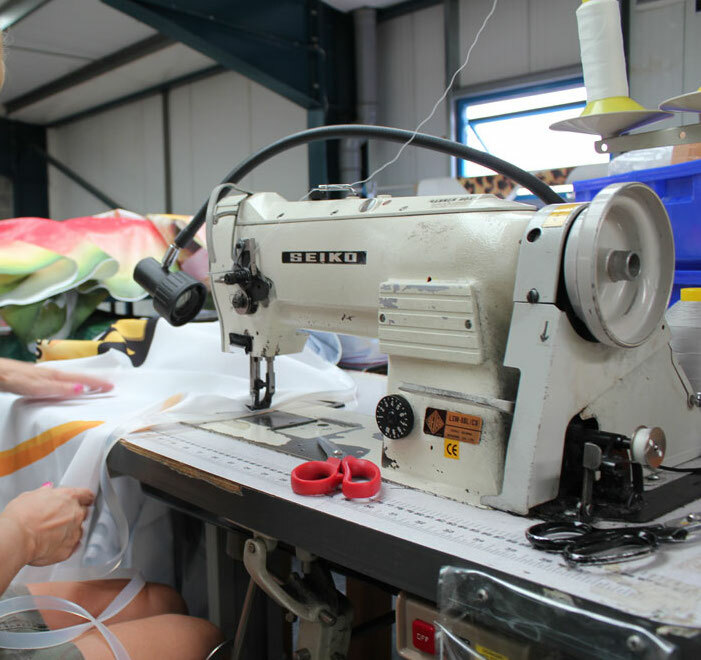 Sewing or hemming of banners, mesh, canvas or other materials. Joining vinyl panels in custom configurations. 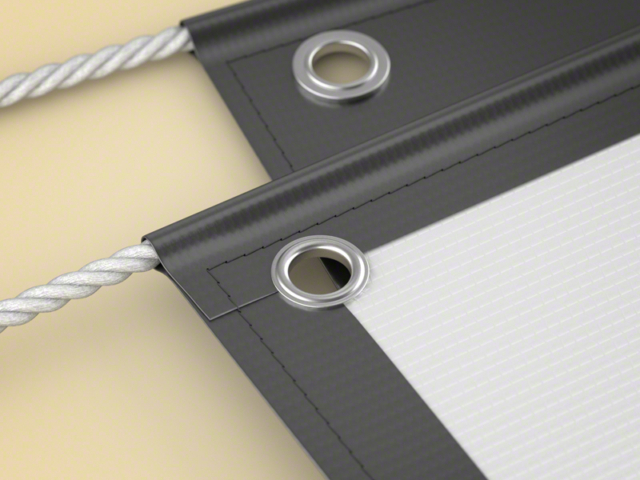 All standard and custom welded finishes. We can provide you with a range of finishes to suit any installation situation. 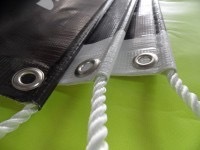 PVC Cord provides a more economical alternative. 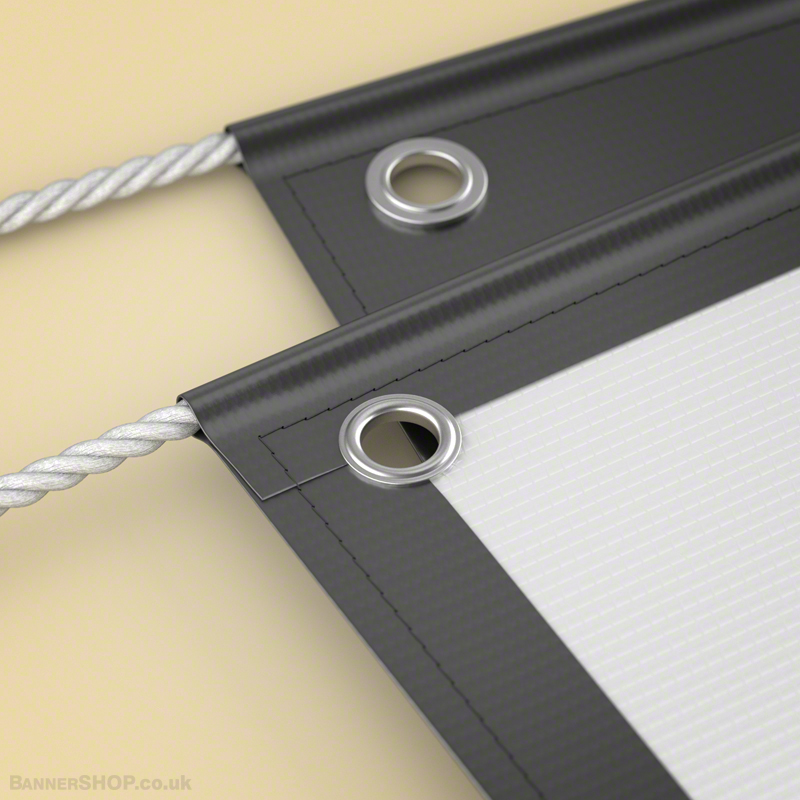 Rope & or Eyelets available for all canvas and vinyl finishes.